Enter a function q(x). 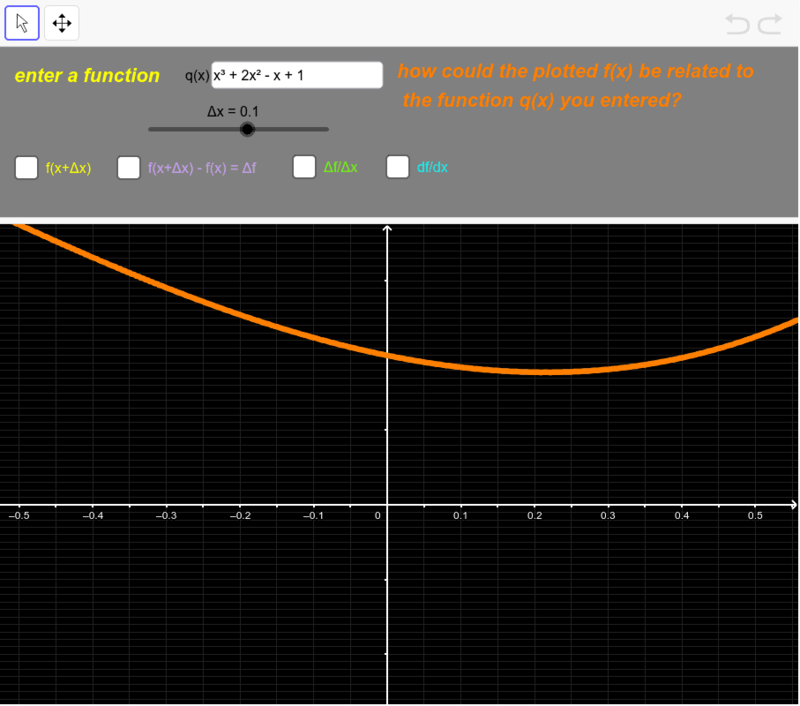 This applet will generate a related function f(x) that both looks like and behaves like your function q(x). Can you suggest how f(x) might differ from q(x)? [q(x) - f(x), q(x)/f(x), etc] What questions could / would you ask your students based on this applet?